Fall is in the air, y’all, and do you know what that means? FALL FLAVORS are everywhere and I am LOVING it, how about you? I’ll be honest, once it hits October, I become a pumpkin maniac. 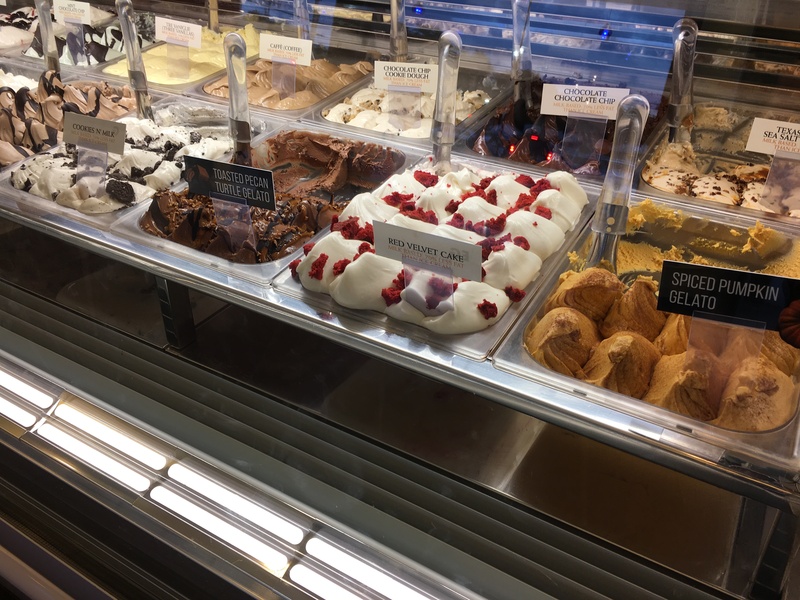 I search high and low for the most delicious bites that are reminiscent of the changing season and after catching word that Paciugo Gelato Caffé is currently carrying some Fall favorites, I knew I had to beeline over there. With the catch phrase, Fall Into Paciugo, the Dallas-based gelato shops have some serious treats (not tricks!) up their sleeves for Fall. Let’s get down to it, shall we? Alongside their regular gelato flavors, Paciugo is currently offering Spiced Pumpkin gelato as well as Toasted Pecan Turtle gelato. If you think these flavors sound delicious, just wait until you try them! To mix things up, Paciugo is also offering two seasonal beverages. 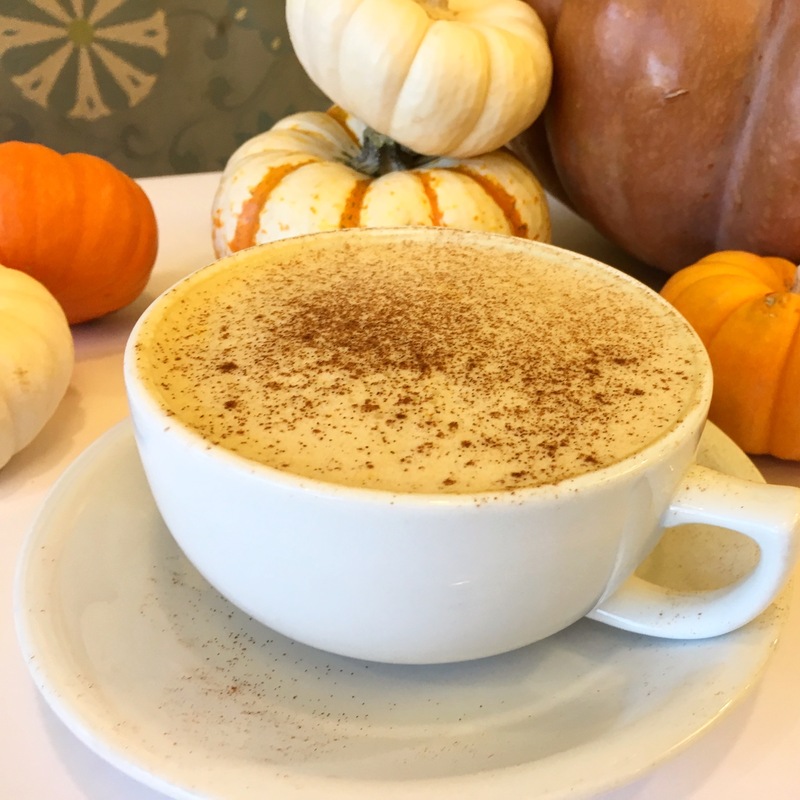 The Pumpkin Spice Gelatte is described as “our seasonal Spiced Pumpkin Gelato, slowly melted into Paciugo’s signature espresso, topped with a kiss of cinnamon.” It is every bit as good as it sounds and then some. It is refreshing but cozy, familiar yet new. You NEED this Gelatte in your life! The second seasonal beverage that is currently being offered at Paciugo is the Chocolate Caramel Pecan Shake. “Toasted Pecan Turtle Gelato blended velvety smooth with chocolate – topped with whipped cream and a drizzle of rich chocolate syrup,” will completely turn a bad day around. After sampling this shake, I can safely say that one would be hard-pressed to find a single person who didn’t fall head over heels in love with this Fall drink! 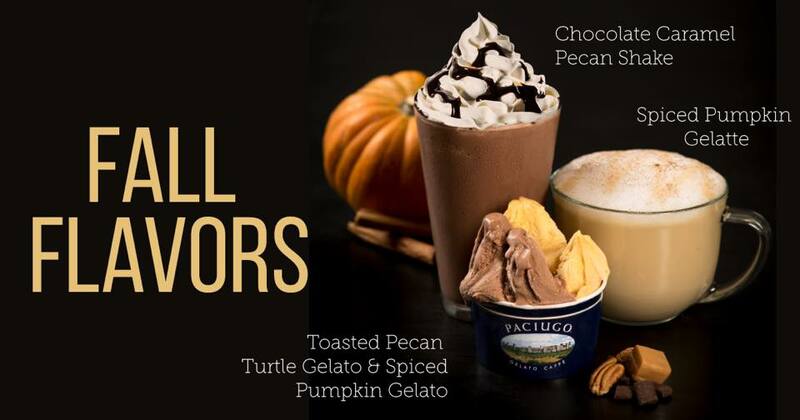 Here in Texas we may not be experiencing those brisk Fall days quite yet but at Paciugo Gelato Caffé Fall has officially arrived so, while those 80-degree temps are still hanging around, you can cool down (quite literally) with the most delicious gelato, shakes, lattes and more at one of Paciugo’s 19 DFW area locations!